Myriad flavours: Josef Chromy wines. A tour of the Tamar Valley's wineries reveals depth and diversity in styles, writes Andrew Bain. On the west bank of Tasmania's Tamar River, the views are almost as good as the wines. Drive north out of Launceston and the roads travel in sight of the river nearly the entire way, threading through small towns and across slopes furrowed with vines. Spend even a couple of hours here and it becomes clear why a British travel magazine once named the Tamar as one of the world's top-10 wine routes. It also becomes clear that there's a lot more to Tassie wine than just the heralded sparklings and pinot noirs. Earlier this year, two Tassie chardonnays and a sauvignon blanc picked up gold medals in the International Wine Challenge in London. In 2011 a Tasmanian shiraz won Australia's most prestigious wine award, the Jimmy Watson Memorial Trophy, while a Tamar Valley riesling won the top prize at the Canberra International Riesling Challenge. Nowhere is this diversity of Tasmanian tipples more evident than on the Tamar River's west bank, where thick-bodied reds and even sweet dessert wines hint at growing conditions and microclimates that are surprisingly different from the opposite side of the river. "It's much cooler over on the east side," says Holm Oak winemaker Rebecca Duffy. "They have much more fertile soils over there and they grow a lot more sparklings." I've come to explore the myriad flavours of the Tamar Valley, though my visit begins further south, in tiny Relbia. Less than 10 kilometres from Launceston, Relbia rests hidden behind a single line of hills from the state's major highway. Visually, Relbia's dry slopes are a little reminiscent of Burgundy, though the 1880s homestead that houses its premier cellar door, Josef Chromy, is purely Australian. 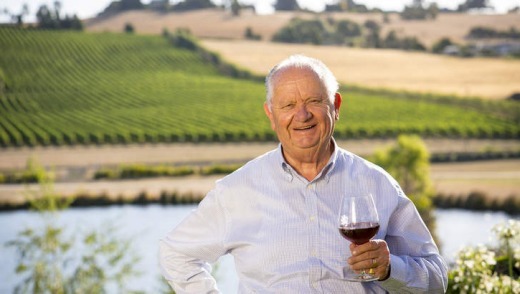 Opened in 2004, this winery, with its recently renovated cellar door, is the creation of a veteran of the Tasmanian wine industry, 82-year-old Josef Chromy. 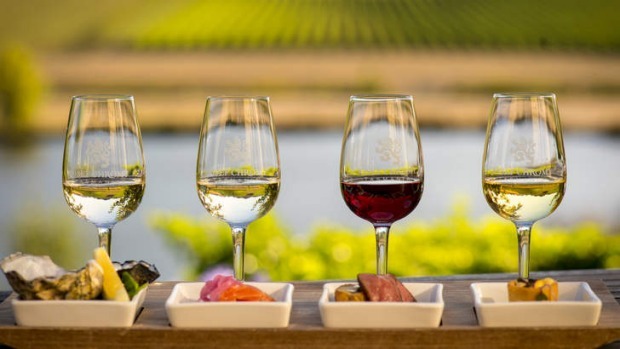 From its 61 hectares of vines, it produces a diverse tasting list of 16 wines, from the expected pinots noirs to the unexpected of a sparkling riesling, the fortified Ruby Pinot and one of the gold-medal-winning chardonnays from the International Wine Challenge. With a tasting list this length, it's worth having a driver, which I do. Launceston-based Prestige Leisure Tours specialises in local winery trips, and as my palate recovers from Josef Chromy's sea of wines, driver Rod Thorpe is transporting me the short distance north into the Tamar Valley. The Tamar Valley Wine Route consists of more than 30 wineries, spread across both banks, but Rod turns west, towards variety and beauty. On this bank, roads curl along the edge of the river, pressed at times between vines and water. Small towns flicker past, and history looms large - it was in the town of Rosevears that the Rebecca, the sloop in which John Batman set sail to found Melbourne in 1835, was built. Past Batman Bridge, we turn further west, ascending to the bucolic cellar door at Goaty Hill Wines, perched atop wind-blown slopes overlooking Tasmania's largest vineyard, Tamar Ridge. Run by two couples, and the best of friends, the mood inside Goaty Hill's corrugated-iron cellar door is as light as its chardonnay. Its more famous drop, however, is its riesling, which has earned a reputation as Tasmania's iconic riesling (though it was nearby Waterton Vineyards that won the International Riesling Challenge in 2011). "We used to have to beg people to try riesling," says Goaty Hill's Tony Neiuwhof. "Now people are blown away by them. Our riesling is pure, beautiful fruit. You simply pick it, you squash it, you ferment it, you bottle it." With a glass of the said riesling - one of seven wine varieties produced by Goaty Hill - before me, I lunch at the cellar door. It's a taste of Tasmania, with cheeses, smoked meats, pate, terrine and olives from the likes of Rannoch Quail, Heidi Farm Cheese and 41 Degrees South salmon farm. Five kilometres from Goaty Hill, nearing the banks of the Tamar River again, is Holm Oak Vineyards. Wine pedigree at Holm Oak is high. Before taking over the vineyard around seven years ago, Rebecca Duffy was senior winemaker at Capel Vale in Margaret River, while partner Tim is an agronomist from a third-generation grape-growing family in Swan Hill. Since moving to the Tamar Valley, they've created arguably the most varied wine selection in the region. The tasting list contains whites, reds, fortified wines, cider and perry. 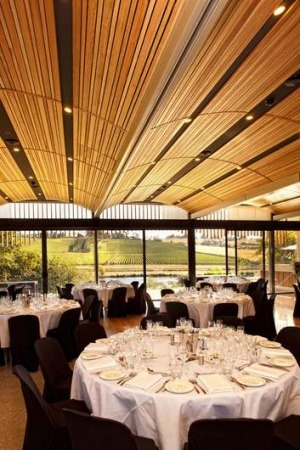 Holm Oak's pinot gris and moscato won gold at the 2011 National Cool Climate Wine Show. Holm Oak's two hectares of cabernet vines were planted almost 30 years ago, making them among the oldest in the Tamar Valley, but to find even older cabernet I head next to Velo Wines in Legana, just 12 kilometres north of Launceston. Velo's cabernet vines were planted in 1966, making them the oldest in Tasmania, and their hand-picked grapes continue to flow into Velo's Reserve cabernet sauvignon. Wines here, including a shiraz, are produced by owner Michael Wilson, a former pro cyclist who raced in the Tour de France and the Moscow Olympics ("velo" is French for bicycle). Philosophies are simple at Velo - the red wines are still hand- plunged and basket-pressed - but the ambitions aren't. In October 2012, Velo opened a cafe serving wood-fired pizzas, antipasto plates and inventive lunchtime dishes. In a Sunday crowd I sit peering over the deck to views that stretch to the Tamar River, with Mount Barrow and Mount Arthur rising on the horizon. It's a scene I could just sit and savour, even if there wasn't wine involved. The writer travelled courtesy of Tourism Tasmania. Near Richmond, the Coal Valley is home to more than a dozen vineyards. Some open only by appointment, while others, such as Coal Valley Vineyard, Puddleduck and Frogmore Creek, keep regular hours. Head upstream from Hobart and you'll find the likes of Stefano Lubiana, the five-generation Derwent Estate, and Moorilla Winery. Clustered around tiny Cranbrook are six quality wineries with cellar doors, including Freycinet, Milton and Spring Vale Vineyards. Near Devonport, Ghost Rock, Barringwood Estate and Lake Barrington have cellar doors. Adjoining the Tamar Valley, this area has some of Tassie's most famous labels, including Jansz Tasmania and Pipers Brook.